The infographic shown above here displays a summary of the valuations of 878 companies reviewed by ModernGraham. The infographic shown above here displays a summary of the valuations of 808 companies reviewed by ModernGraham. ModernGraham has various tools available, and this article is one of them, displaying a summary of the valuations of 686 companies reviewed by ModernGraham. 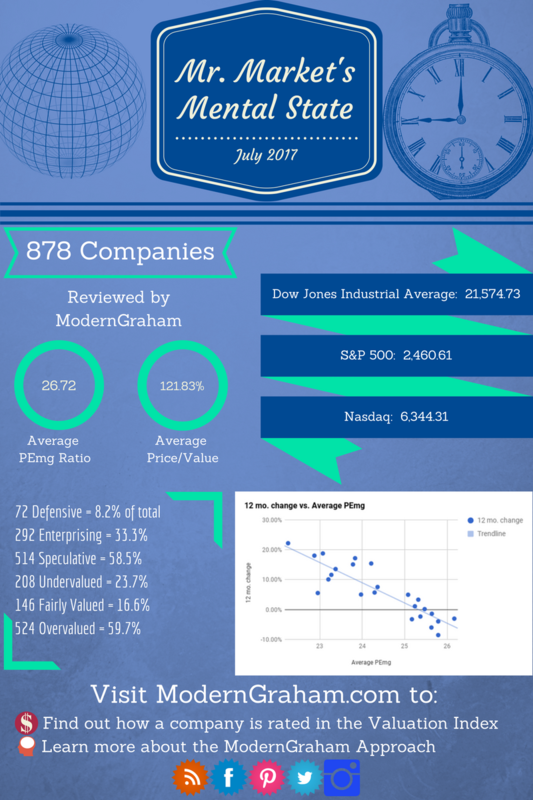 ModernGraham has various tools available, and this article is one of them, displaying a summary of the valuations of 619 companies reviewed by ModernGraham. ModernGraham has various tools available, and this article is one of them, displaying a summary of the valuations of 550 companies reviewed by ModernGraham. ModernGraham has various tools available, and this article is one of them, displaying a summary of the valuations of 538 companies reviewed by ModernGraham. All value investors today should keep the analogy of Mr. Market in mind, and implement the overall concept. 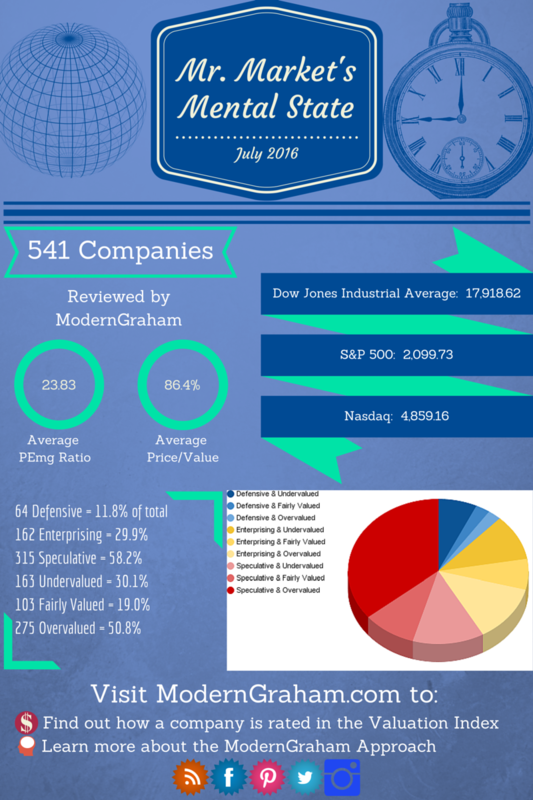 To assist in that goal, ModernGraham has various tools available, and the infographic shown here is one of them, displaying a summary of the valuations of 541 companies reviewed by ModernGraham. All value investors today should keep the analogy of Mr. Market in mind, and implement the overall concept. To assist in that goal, ModernGraham has various tools available, and the infographic shown here is one of them, displaying a summary of the valuations of 551 companies reviewed by ModernGraham.